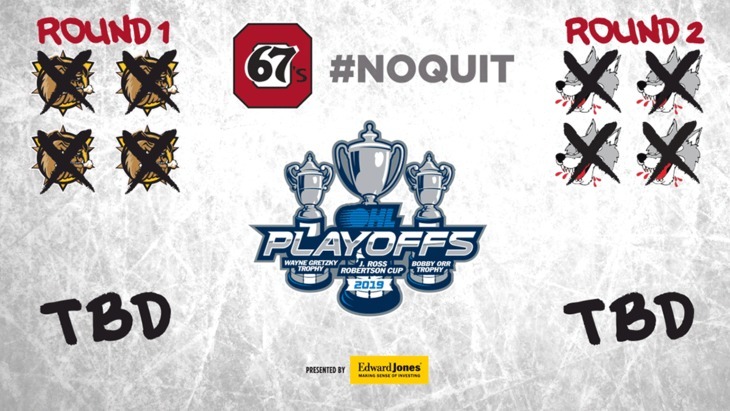 The Ottawa 67’s are off to Round 3. 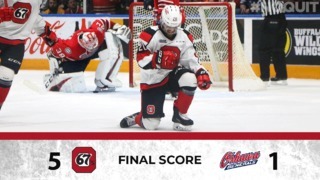 Summoning every bit of remaining energy, the 67’s battled the Sudbury Wolves to triple overtime in Game 4 on Thursday night, with Tye Felhaber scoring the winner midway through the sixth period. It was a thrilling end to a marathon game in which the 67’s faced a huge push-back from the Wolves with Ottawa holding a 3-0 lead in the Eastern Conference Semi-Final. When the dust settled, Ottawa fired 62 shots at Wolves goalie Ukko-Pekka Luukkonen, while 67’s goalie Mikey DiPietro turned aside 58 of 60 Sudbury shots. 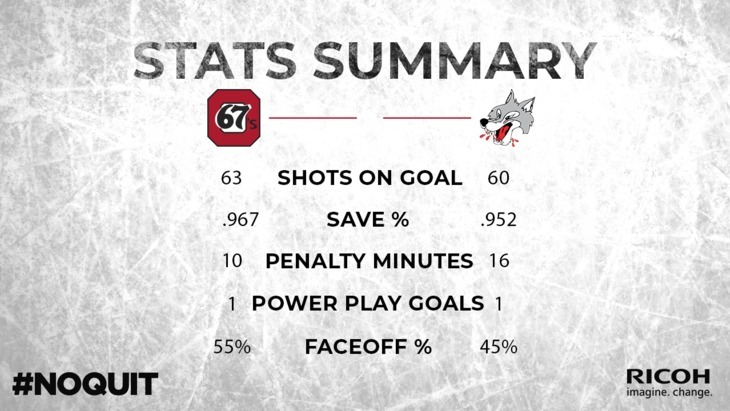 With the Wolves up a goal in the third period, Ottawa’s Kyle Maksimovich pulled the 67’s even in at the 6:40 mark when he took a pass from Marco Rossi, broke down the wing and beat Luukkonen with a well-placed shot. That was the last goal that would be scored until Felhaber’s sixth of the playoffs 10:15 into the third overtime. It was all about the goalies in the first period as both DiPietro and Luukkonen took turns standing on their heads to turn away quality scoring chances. Ottawa broke through first in the second period as Maksimovich slid the puck to Mitch Hoelscher, who took his time in the slot before firing home a wrist shot. The Wolves would respond with the games next two goals to give Sudbury it’s first lead of the series. 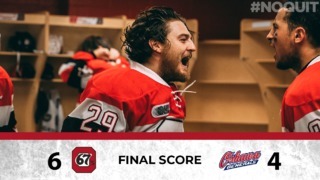 The 67’s will now play the winner of the other Eastern Semi-Final between Niagara and Oshawa in the Conference Finals. Thursday’s game lasted 110 minutes and 15 seconds, the longest game in Ottawa 67’s history. 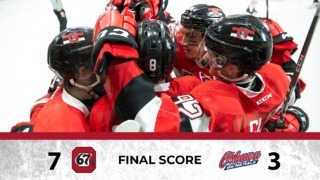 The 67’s went 1-for-6 on the powerplay, with that one goal the triple overtime-winning marker. Tye Felhaber and Sasha Chmelevski each had a game-high 10 shots on goals. The 67’s had a 62-51 edge in the face-off circle. Marco Rossi led the way, going 23-for-32.